This is a sponsored post written by me on behalf of Duck Brand® for IZEA. All opinions are 100% mine. 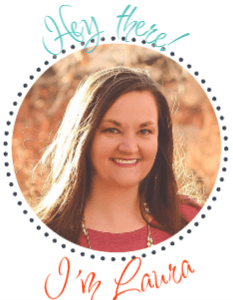 If there is one thing that I have learned about teaching in the last 10 years, it is that I need to have a well organized classroom with clear boundaries. 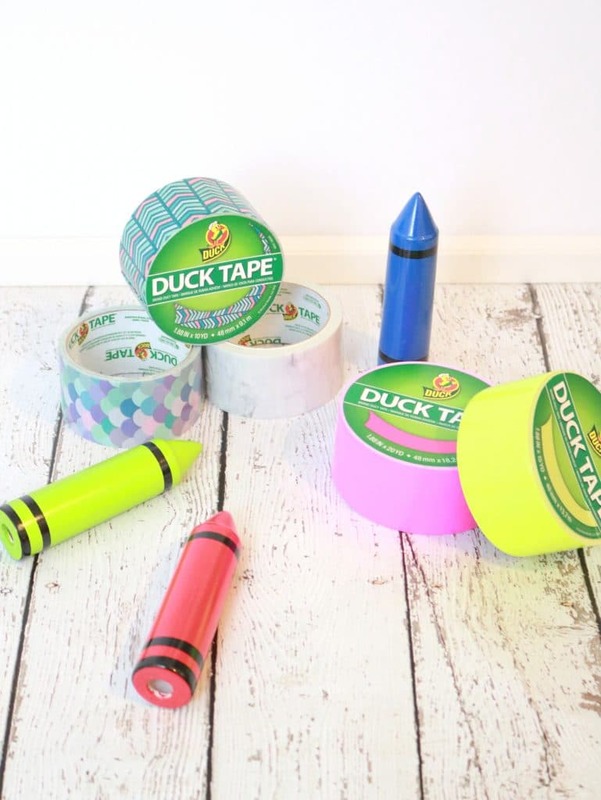 From class rules, to class tools, I am always ready for whatever the year brings and always excited to put together awesome student learning centers with the help of Duck® brand duct tape! Our school is a bit unique because teachers do not have their own classrooms. I share classrooms (yes more than one) with other teachers. We work together to have our own little spaces in each classroom. 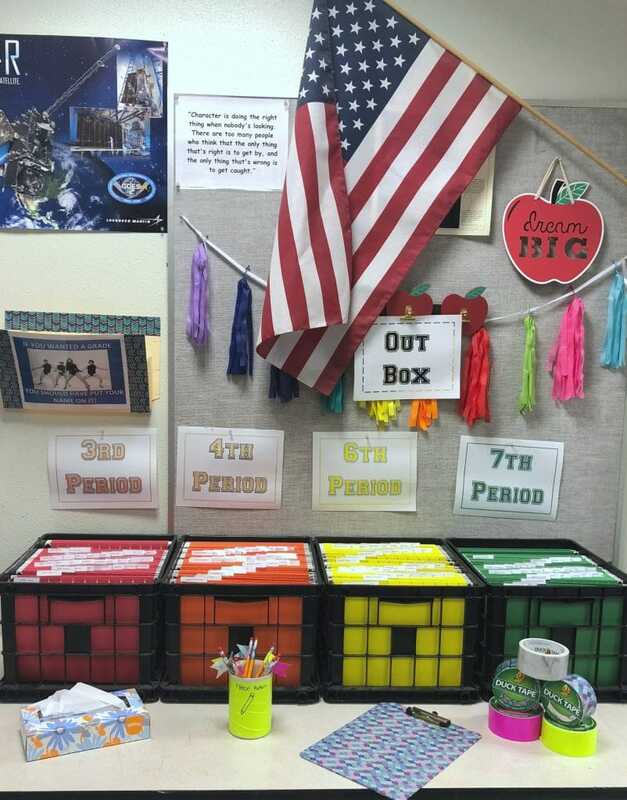 I always set up little student supply centers in each classroom, that are bright and colorful and easy for students to access the items they will need for our class. This year I had to make a few changes to my student supply centers starting with the hall pass to help with durability. 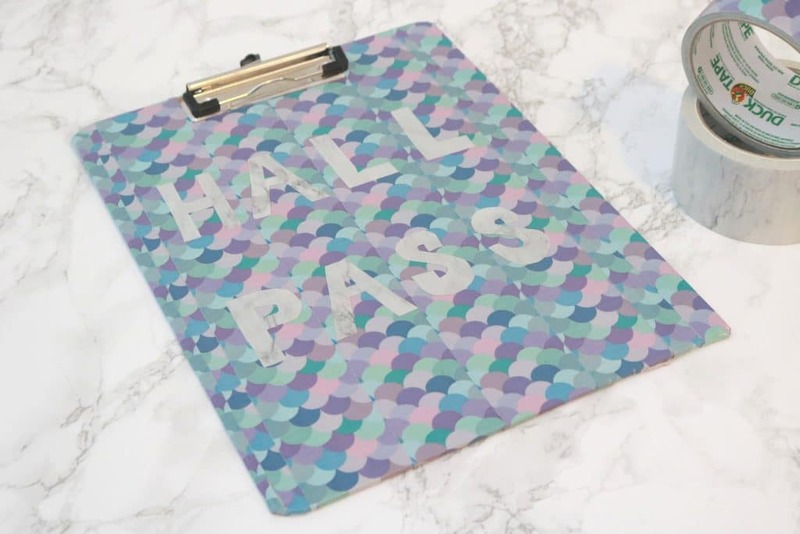 High schoolers are willing to push and find any loophole to cause mischief, which is exactly why I am creating a new hall pass featuring my new favorite Printed Duck Tape® in Mermaid and Marble. Last year my lovely students dismantled my pass which was sort of a fun hodge podge of items each with the word “hall pass” on them. This year I needed a pass that was durable, bright and able to withstand teenagers! 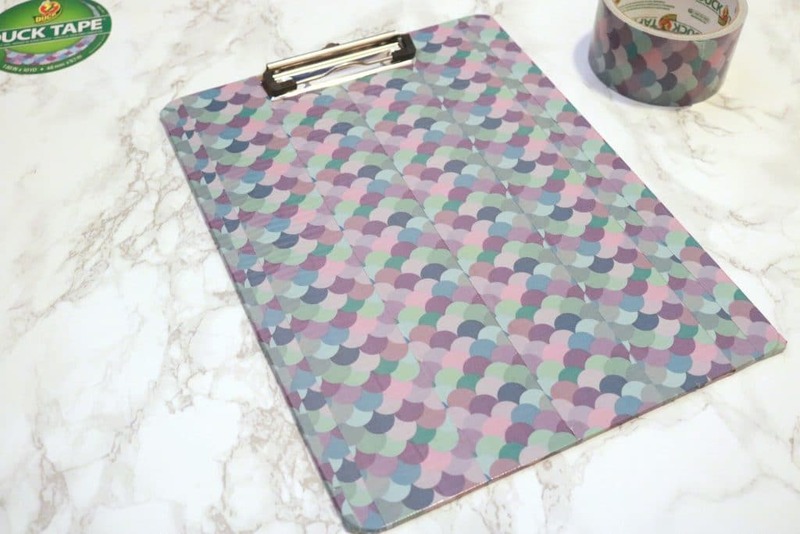 Enter, the mermaid clipboard! 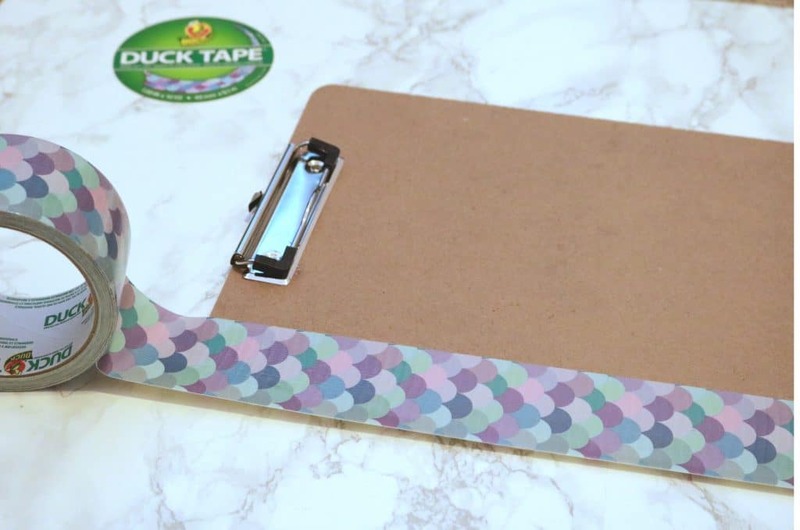 I grabbed a clipboard from the store and found this amazing Printed Duck Tape® with the mermaid design along with the marble Duck® brand duct tape to create this awesome hall pass (that my students won’t be able to deconstruct). Then I set off to make a really durable hall pass. 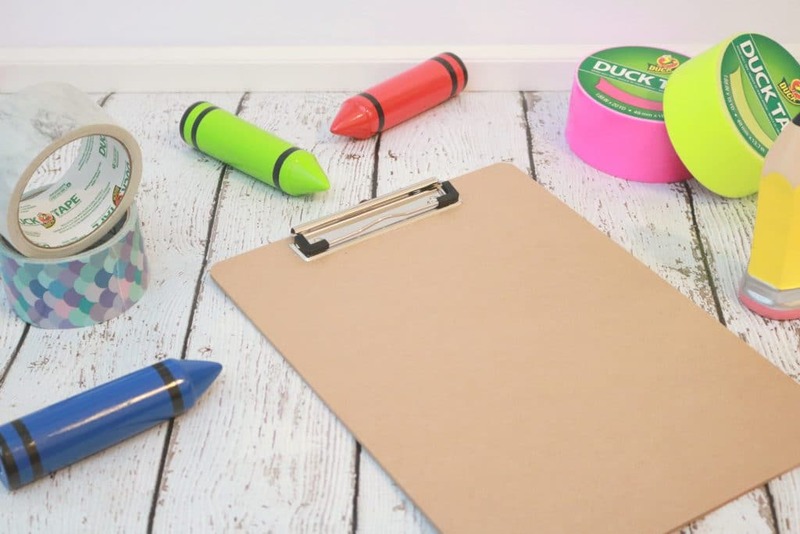 The process is simple, wrap the Duck Tape around the entire clipboard and cover fully. The Duck Tape is perfect because as we all know it basically can fix anything. It has a strong hold and getting it to unstick from itself is nearly impossible. I knew that using the Duck Tape would be a great way to help the durability of the pass! Once the clipboard is covered, grab the marble Duck Tape and cut out the letters to spell out “hall pass”. The letters are pretty easy to cut out. My biggest struggle was with the “S”, which I learned on the second try to do a small section at a time and remove excess tape as I am going. Much smoother with the second “S”. 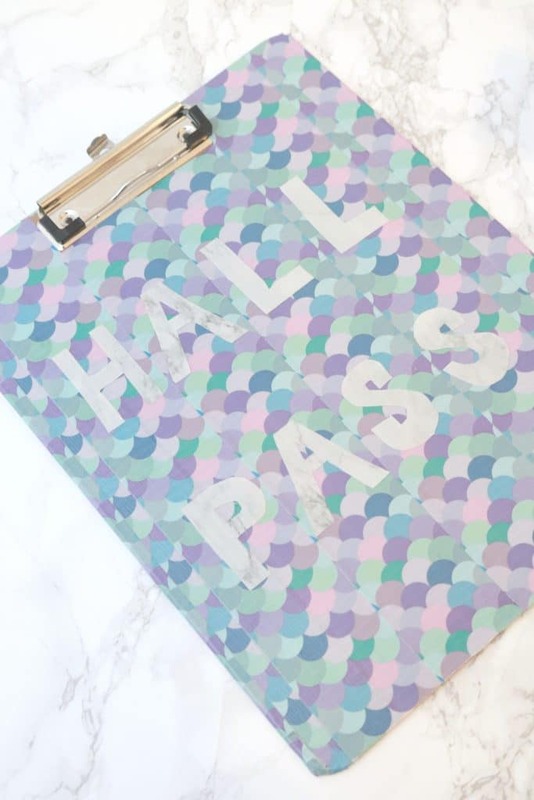 Stick the marble Duck Tape letters down to the clipboard and you have a really durable hall pass that is pretty, easy to carry and can be easily wiped down (because trips to the bathroom y’all). I really love bright, vibrant and clear spaces for students to gather materials and collect work. In our building most teachers employ the turn back folder method (where each student has an individual folder and the teachers file graded papers for kids to collect). In addition, I like to make sure I can put the handouts for the class period, extra pencils, a no name folder and tissues for them to access. You can see my student supply center for 4 of my class periods above. I am big on color coding, so although my students obviously know their class period, I like to code them by color as well. It makes it much easier for students to access what they need quickly. 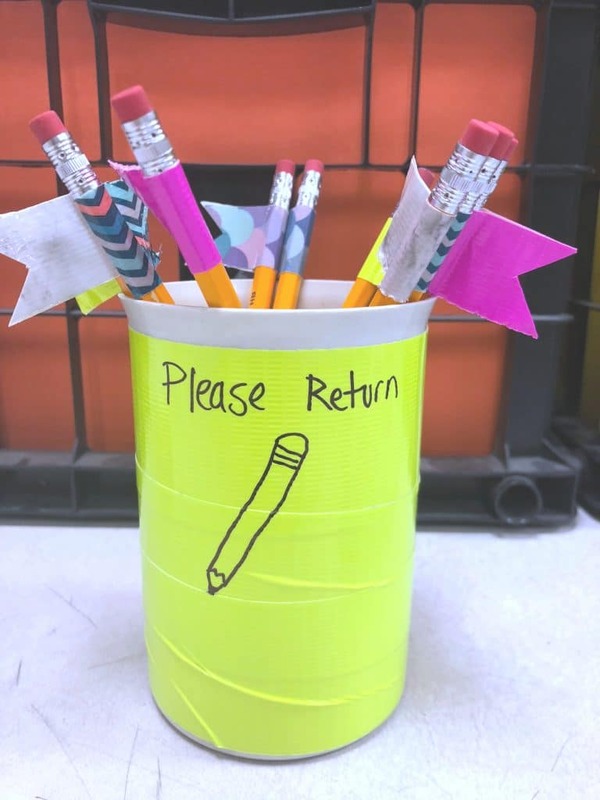 Although we tell students to bring pencils, the will inevitably lose them and since I am not in the business of buying hundreds of pencils a school year, I have made a nice little pencil caddy with the “flag pencils” that I can easily see are mine. I found this fantastic neon yellow Color Duck Tape® which helps the caddy stand out and hopefully reminds them to return the pencils and covered the caddy in it. I then drew on it with permanent marker. For the pencils, I wrapped them in 1/2 strips of the colored and printed Duck Tape and then used scissors to create little flags at the top. Kids are honestly really great about borrowing and returning and it cuts down on the amount of pencils that walk out the door dramatically. By far, one of my most hysterical student supply ideas is this no name folder. I saw this meme years ago and had to employ it. Of course, it has my favorite music artist featured on it. I just use a simple accordion manilla folder and added a laminated sign that I then used the herringbone Duck Tape to help it stick to the folder. I also added a strip of the herringbone Printed Duck Tape® to the back top to cover the staples that keep it in the wall and because it looks like arrows to direct them to their no name papers! 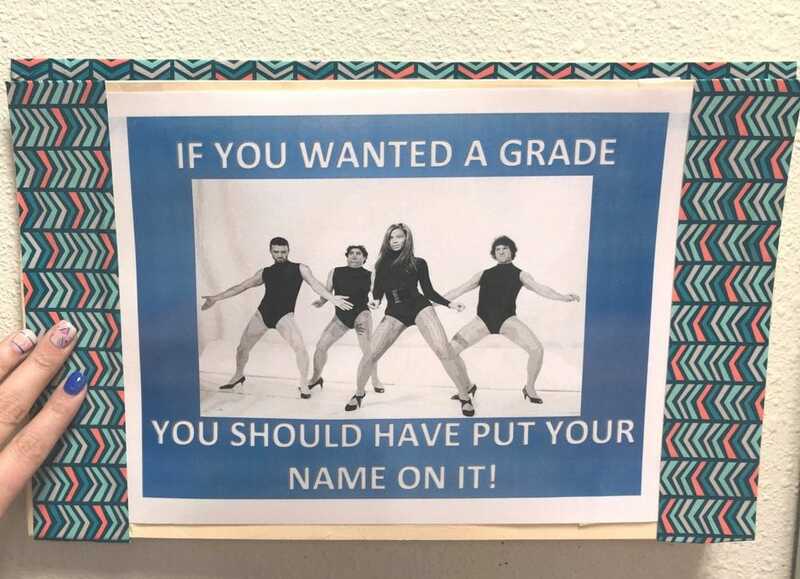 Do you have any classroom decor tips?